Hua Hsu: Circa the summer of 2013, the Warriors were just another team with some promising talent and vague aspirations to get better. In the Western Conference, this was about good enough to get you to the second round. There was chatter about coaxing Dwight Howard to the Bay Area, which seemed more about establishing the franchise’s credibility than anything else. Ultimately, when the Warriors ended up getting Andre Iguodala, it felt like a consolation prize. Where would he play? Was he actually going to make this team that much better? Unless you’re heading to San Antonio or wherever LeBron happens to be playing, I always assume guys are lying when they say their free-agency decisions are about winning a championship. For Iguodala, that seemed like a far-fetched goal with the Warriors, even if Steph Curry were to ever figure out his ankle issues. I think the most prominent free agents the team had ever lured in my lifetime were Corey Maggette and Derek Fisher. At times, then, it seemed like Iguodala had come to the Warriors just to kick-start his dream of becoming a venture capitalist. He loved being in the Bay Area for the same reasons a lot of people love being there, punching up his interviews with references to Elon Musk or his killer investments. On the court, he became somewhat forgettable, going from All-Star and Olympian to second-unit guy while Steph and Klay ascended to all-world status and Draymond Green turned into a potential max player and straightedge Harrison Barnes flashed moments of aerial brilliance. All of which makes what happened in the Finals so crazy. After last night’s game, Iggy spoke of his anxieties about replacing Andrew Bogut in the starting lineup. He had grown to cherish his role as the guy setting the tempo off the bench. He didn’t want to harsh the team’s vibe or upset his Aussie teammate. But it worked. In the parlance of Iggy’s tech bro buddies, he was #disruption personified, playing brave, chippy defense against LeBron, flopping a little when absolutely necessary. He wasn’t afraid to fail. It was remarkable to see him step up to the line with a swagger that belied his abhorrent stroke. There’s no way this was what Iggy and the team’s brain trust envisioned a couple of summers ago, not starting a game all season and then walking away with the Finals MVP trophy. It’s strange to sit here watching the same highlights over and over and look back on the franchise’s unique and funky history — Manute Bol and Sarunas Marciulionis, Run TMC, Sprewell, Antawn Jamison, a mascot straight out of The Tick, that fluky “We Believe” team, the absurdly long tenure of Adonal Foyle, the steadying, dulcet tones of Jim Barnett. Even when the Warriors were good, they seemed to exist many, many echelons below true contention. 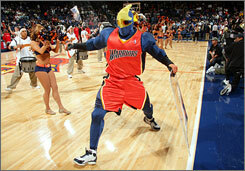 Never cursed, just part of some other, occasionally fun territory of the NBA. That has changed forever, thanks in large part to the Warriors’ most overlooked star. He came here because he had caught the tech buzz. He chose Oakland because he was thinking about his future, and now he will forever be a part of this entire region’s past. 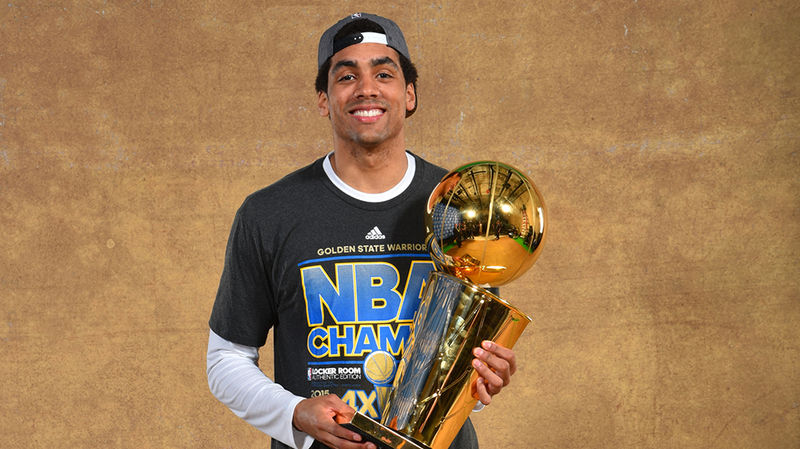 You earned it, James Michael McAdoo. 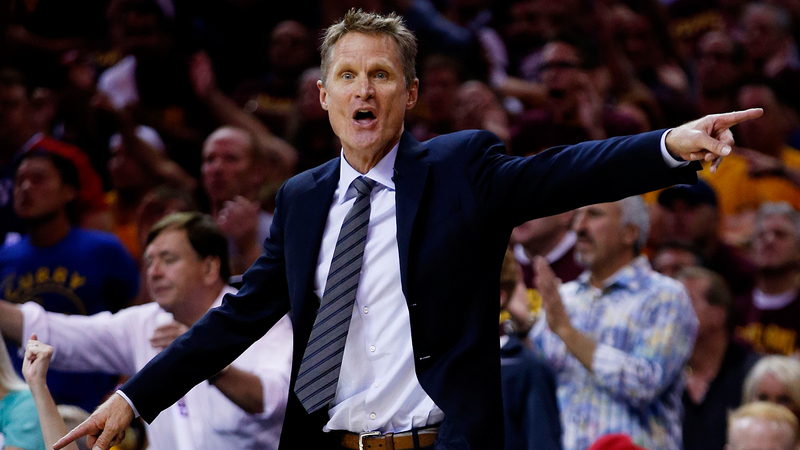 Kirk Goldsberry: There’s a lot to learn from the 2014-15 Golden State Warriors. They’re champions, and they’re also the quintessential NBA team of right now. They dominate both ends of the floor with newfangled approaches that emblematize the most important trends. They have a deep and versatile roster. On defense, everyone can guard multiple positions. On offense, they have superb ball movement (the Dubs led the league in assists) and make tons of 3s. They just won the Finals using Draymond Green as their starting center. Their point guard is not only reinventing the way we look at “score first” PGs, he’s reshaping the way we think about perimeter scoring in general. Hell, he invented a new way to posterize dudes, 25 feet from the basket. The Warriors just beat a much bigger, stronger team, and that alone is instructive. In simpler times, with guys like LeBron James, Timofey Mozgov, and Tristan Thompson, the Cavs would’ve just bulled over these tiny small-ball dudes. But in the age of pace and space, the best floor-spreading, jump-shooting team is just the best team. There were times in the fourth quarter of Game 6, as the Cavs tried to mount a final comeback, when I found myself thinking that Cleveland had brought a knife to a gunfight. You can’t put J.R. Smith and James in a shooting contest against Curry and expect to win. These are our times, and the Warriors are our champs. 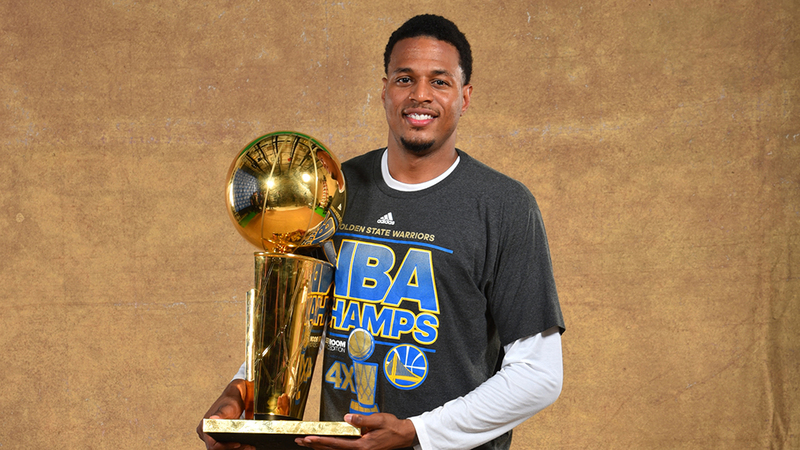 Brandon Rush has won more NBA titles than Allen Iverson, Charles Barkley, Patrick Ewing, and Karl Malone. Danny Chau: In a storm of journalists, security personnel, teammates, friends, and family, Draymond Green had something to say to all of them. The Q had been emptied of its hometown fan base, leaving only the die-hard Warriors fans to chant their unmistakable “WAAAARRR-UUUURRRS” rallying cry. There were enough of them to make it difficult for him to call out to his mom. But this is Draymond Green. After three seasons of playing for the loudest crowd in the NBA, making himself heard over a smattering of intrepid supporters might have been the easiest thing he’d ever done as a pro. Green had just won himself an NBA championship. So, what did he have to say? Green saw his mom in the crowd. Mom, they told me I can’t play in this league! Green is the most unlikely success story at the center position since the Phoenix Suns — who were desperately in need of someone, anyone, to man the position — turned to an underachieving small forward from France named Boris Diaw to play the 5 during the 2005-06 season. Diaw, in all of his many shapes, sizes, and levels of assertiveness since then, is also the best comparison you can make to someone as unique as Draymond. But where Diaw plays with almost inhuman cool, Green plays in a way that blurs the line between rage and elation. 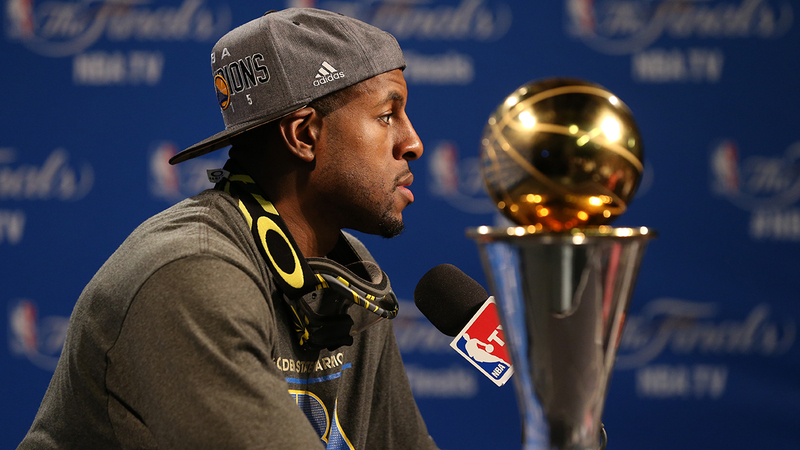 At the postgame press conference, Green wasn’t seated with Klay or Steph or Finals MVP Andre Iguodala. He was paired with Shaun Livingston, who, as we all know, had gone through hell and back to get to this point. Green became the second-youngest player to notch a triple-double in NBA Finals history, but this wouldn’t be his star turn. That will have to come at a later time. But it’s coming. When he was up on the podium, smiling wide and gesturing grandly, you could see it. He has that maximalist energy that can make him the kind of star Diaw couldn’t be bothered to become. His primary skills are meant for the background, but he has a star’s personality and arrogance — and that might be enough to change how we value nontraditional output in the very near future. Look, at this point, we’re beyond talking about chips on shoulders with Draymond. The entire Warriors team has faced adversity to get to where they are now. But they don’t wear it outside. What Draymond has isn’t a chip. Or it was a chip. It started out as one. But every year, it’s been retrofitted to match his blossoming in the league. That chip is now a full-on suit of armor. It insulates him from the naysaying, not that it matters. He’s already heard the worst of it. He’s a champion now. What words could possibly crack his armor? 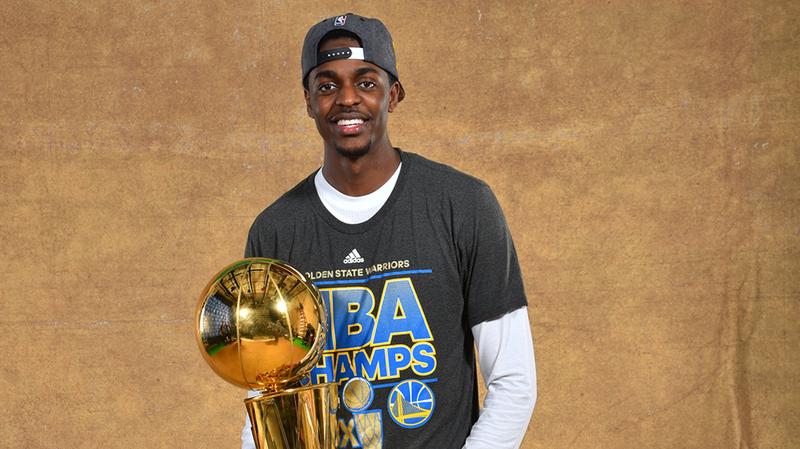 Justin Holiday: shooting up the Holiday Brothers Power Rankings. 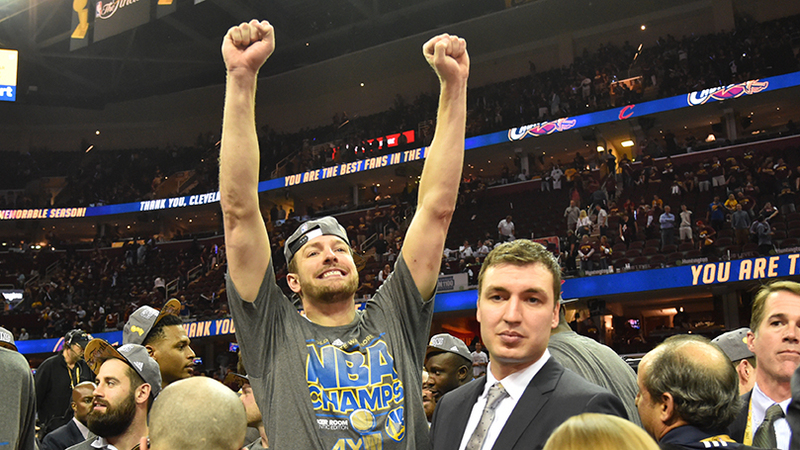 Goldsberry: David Lee is the highest-paid player on the Warriors. It’s true. When he landed in Oakland, he was supposed to be the next big thing. That never really happened, and the arrival and emergence of Draymond Green cost Lee much of the spotlight. But he’s dealt with new realities and greatly diminished playing time with a kind of dignity that is never guaranteed in professional sports. He could’ve gone to the press and whined, or pulled an Omer Asik and just shut it down and demanded a trade. Instead, he remained cool and contributed when needed, and now he has a ring. It speaks to both Lee’s character and the general good vibrations that fill the Warriors organization. You can call Lee overpaid if you want to, but make sure to call him a champion, too. 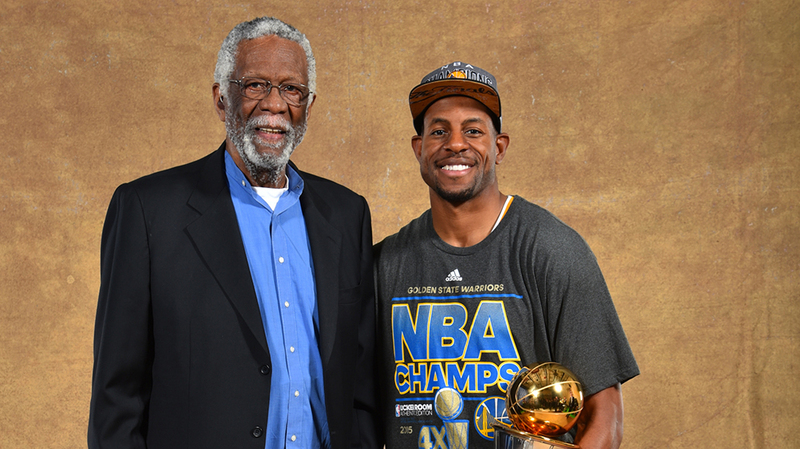 Wasn’t that impressed with Bill Russell’s play for the Dubs this season, to be honest. Where was I? Oh, right, short of winning the Finals, losing in six was the best possible outcome for Cleveland. The Cavs have gone from lottery to two games from a championship, and now to summer of uncertainty in a little less than a year. LeBron and Love have player options to consider, and several of their key role players — Delly, Iman, Tristan, J.R. — are free agents of one kind or another. With the third-highest payroll this season, Cleveland doesn’t have the kind of cap room that would allow them to go out and pick up a Khris Middleton, Greg Monroe, or whoever else. And why would they? This team clearly clicks. Could they work some sorcery to get Dwyane Wade on a cheapo/screw-Riles deal? Sure. I could also be the next James Bond. The point is, there’s a lot up in the air, and what the Cavs needed most going into the offseason was a sense that they were moving in the right direction. Something they could sell to players like Love, and something that makes the front office feel good about keeping guys like Shumpert and Smith. The team is obviously headed the right way, but it could use some help. Like maybe some 6-foot-10, sweet-shooting, ruggedly handsome help. 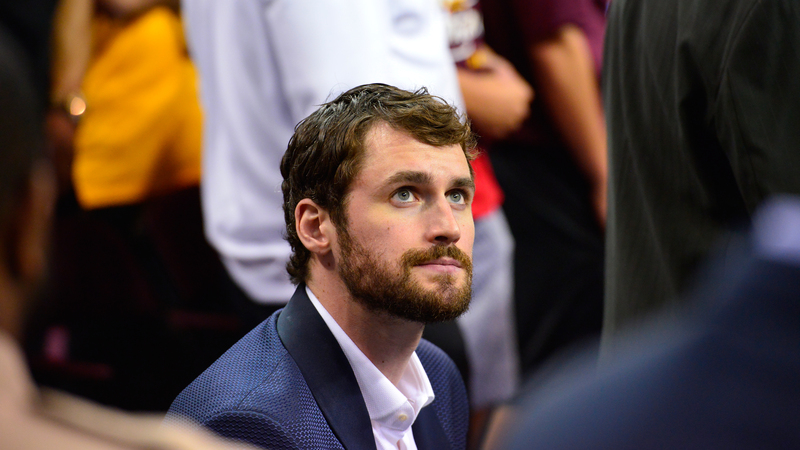 The Cavs got exactly as far as they could go without embarrassing Kevin Love, but they avoided the kind of toxic flameout that might have given him second thoughts about rejoining the team next season. If they had won without Love, maybe he would’ve jetted, feeling like Cleveland doesn’t need him. If they had lost to, say, Atlanta, or gotten swept by the Warriors, maybe Love would’ve exited stage left and left the drama of unmet expectations to LeBron and David Blatt. Losing in six is perfect. Losing in six is “We almost did it, but we sure could use some help, Kevin.” This was the perfect recruiting campaign. If Kevin Love is the least bit serious about winning a title, there is no other place he should consider playing than Cleveland. No one rides harder for Anderson Varejao than LeBron. Jason Concepcion: One night, the Cavs had a dream. They dreamed that they were walking along a beach with the KING. Across the sky flashed scenes from the playoffs. There was J.R. Smith making shots. Tristan Thompson rebounding misses. Timofey Mozgov scoring career highs. Matthew Dellavedova getting intravenous fluids. 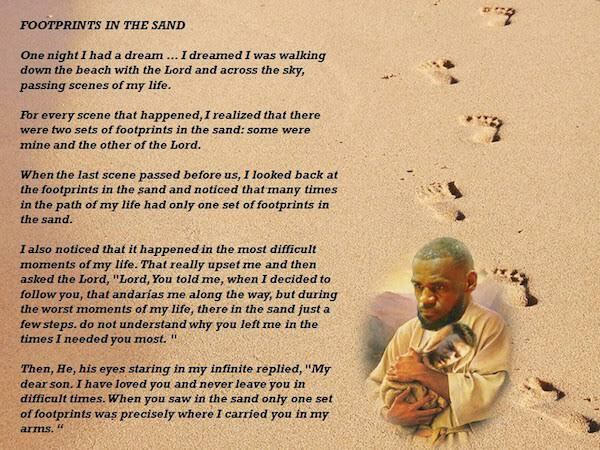 For each of those scenes, the Cavs noticed two sets of footprints in the sand: one belonging to them and the other to the KING. When the last moment of the last game of their lives flashed before them, the Cavs looked back at the footprints in the sand. They noticed that there were many times along the path of their postseason when there was only one set of footprints. They also noticed that this happened at their very lowest and saddest times. Like when J.R. Smith almost wiped out while riding a hands-free Segway scooter into the arena, and then shot 17 percent from the floor and scored four points. Or when Shump shot 11 percent for the Finals on shots inside 5 feet. Or when Shawn Marion, at the end of a potential Hall of Fame career, couldn’t pry minutes from Mike Miller’s cold, dead hands. Dejected LeBron in locker room. Towel over head, knees wrapped in ice, feet in ice buckets. This game is dedicated to everyone who wears Lebron's with jeans.